The last week has been a blur of mixing and baking. 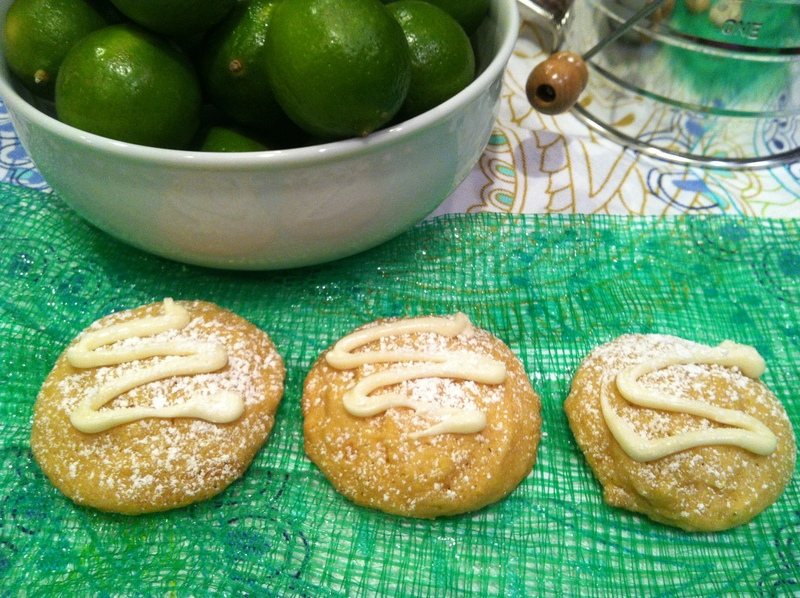 I made one of my tried and true holiday recipes (Pistachio Chocolate Chunk Cookies) and tested nine new recipes. Out of the bunch, I only had one fail that I think still needs some tinkering. Not too shabby! 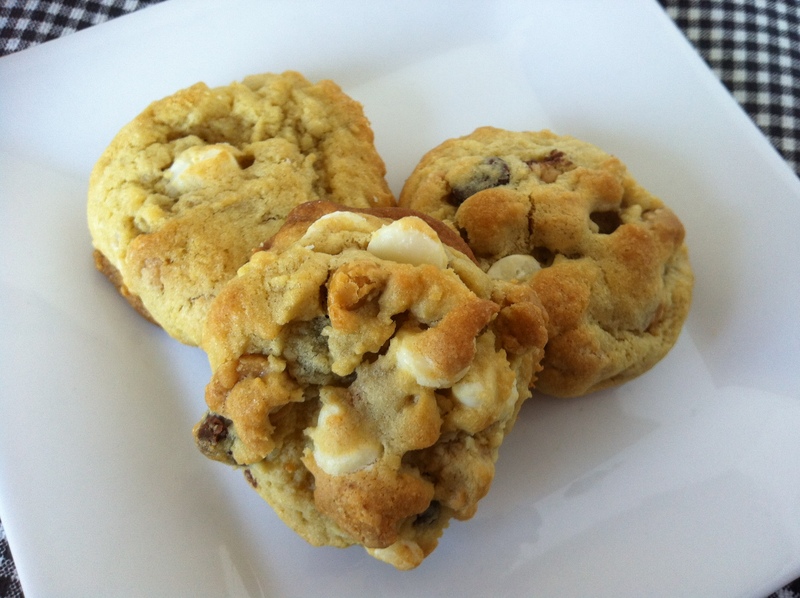 These white chocolate cherry cheesecake cookies were one of my latest experiments that turned out absolutely AMAZING! They were declared a new favorite by my husband…a man who has particular tastes when it comes to baked good/sweets since he’s more of a meat and potatoes kind of guy. 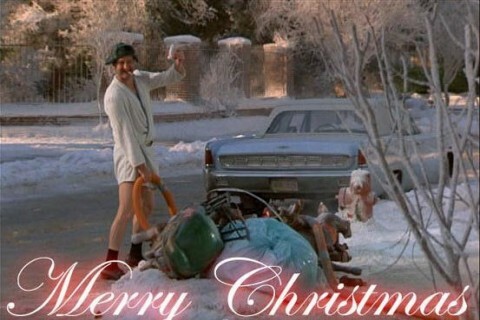 I hope the holiday season is treating everyone well! I made these white turtle cookies for the Thanksgiving potluck we had at work a few weeks ago. Um, yeah. I know, it’s been a few weeks and I’ve been a real slacker with the posts lately. Other than this batch, I haven’t been doing a lot of baking lately. We had a really small Thanksgiving this year – so no need to go crazy with the cooking. I was also training for and finished my second half marathon on Thanksgiving morning (woohoo!!). Combine that with work, a toddler, and life in general and my mixer has been on a short hiatus. It’s the dog days of summer (not sure what that actually means). Whatever, it’s stinkin’ hot out there. I’d wager that wherever you live in America, most folks are ready for summer 2012 to wrap on up and move along. It’ll be quite some time before we see significantly cooler weather here in the South, but I’m hoping for a few breaks here and there signaling that fall (and football!) is on its way. A girl can dream, right?! 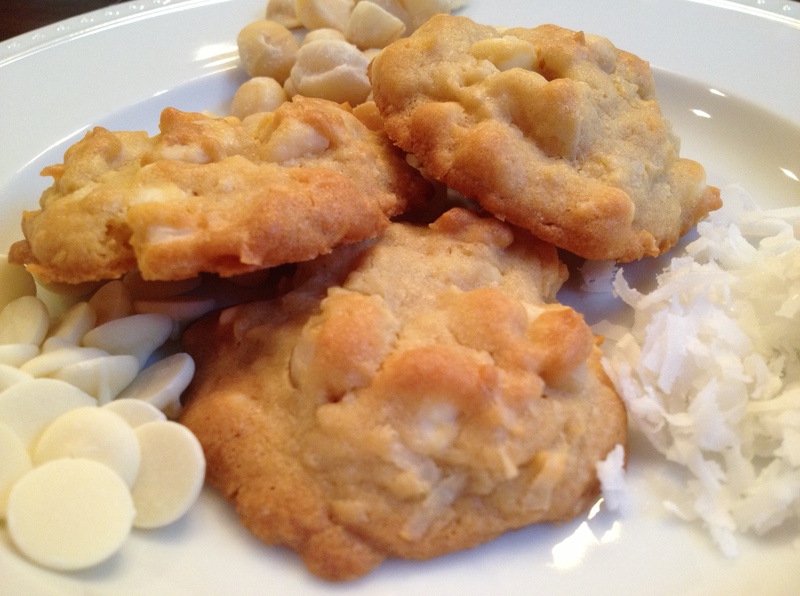 Until then, here’s a recipe for a summer-y cookie that has a nice light flavor…and in my opinion, looks kinda pretty to boot. 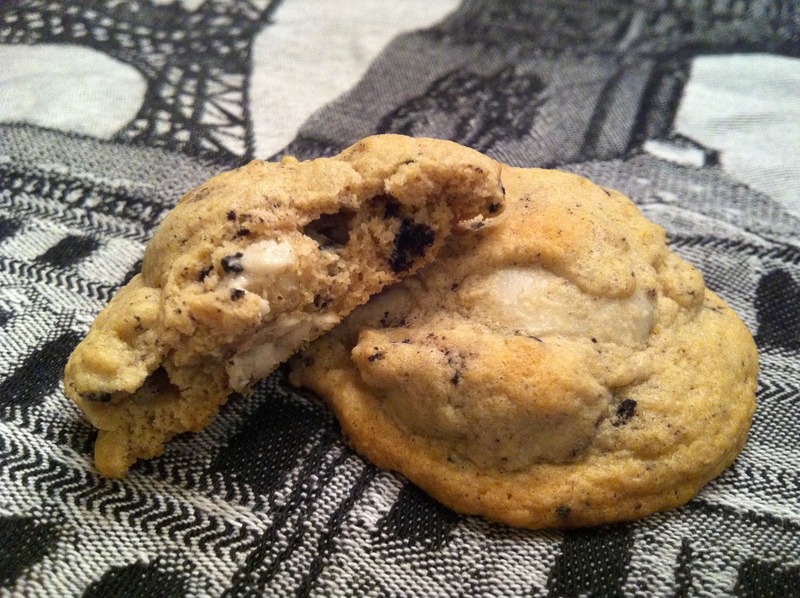 If you love cookies and cream ice cream, you will love this recipe! Now, I’ve seen different versions of this flavor concept out there on the Web but the one I’ve pulled together here is super simple. You won’t be standing in your kitchen forever chopping chocolate bars or Oreos. This is simply my classic pudding cookie recipe with some somewhat creative ingredients added to the mix. 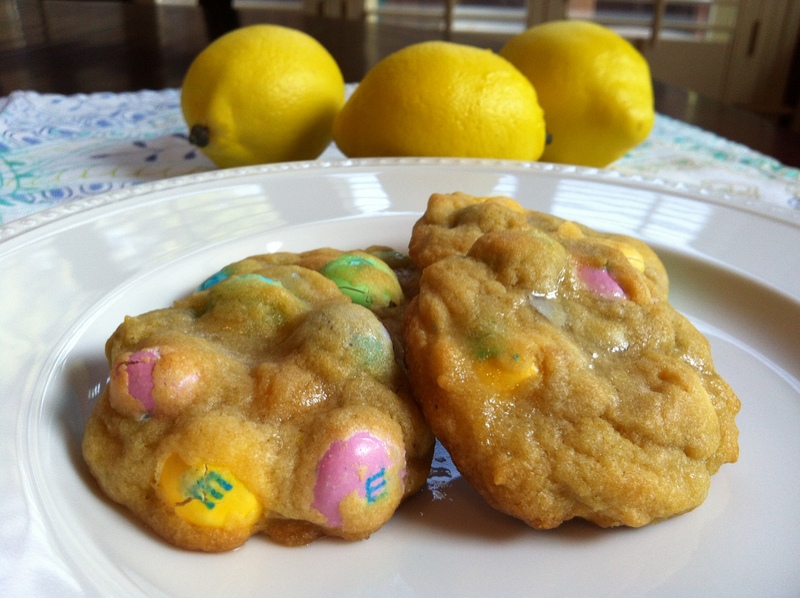 With Spring in full bloom and Easter coming up this weekend, I hatched (yes, that’s an egg pun – please forgive) a plan to make some sort of lemon-themed cookie. Well, the planets just so happened to align with my plan. Just like your redneck cousin, you might not know what to do with all those miscellaneous pantry items and leftover holiday baking ingredients. You know, all that stuff that would otherwise be thrown in the trash: a handful of M&Ms, the bottom of a bag of (mostly broken) pretzels, cocktail peanuts, marshmallows…you name it. I’ll tell you what you do. You dump them all in bowl, drown them in white chocolate, let the chocolate harden and break it all up into delicious chunks of glorious white trash. The traditional recipe for White Trash calls for rice cereal, Cheerios, pretzels, peanuts and M&Ms. But I’ve seen others with golden raisins and other varieties of sweet and salty combinations. Just use whatever “trash” ingredients are in your cupboard. Pardon the photo. 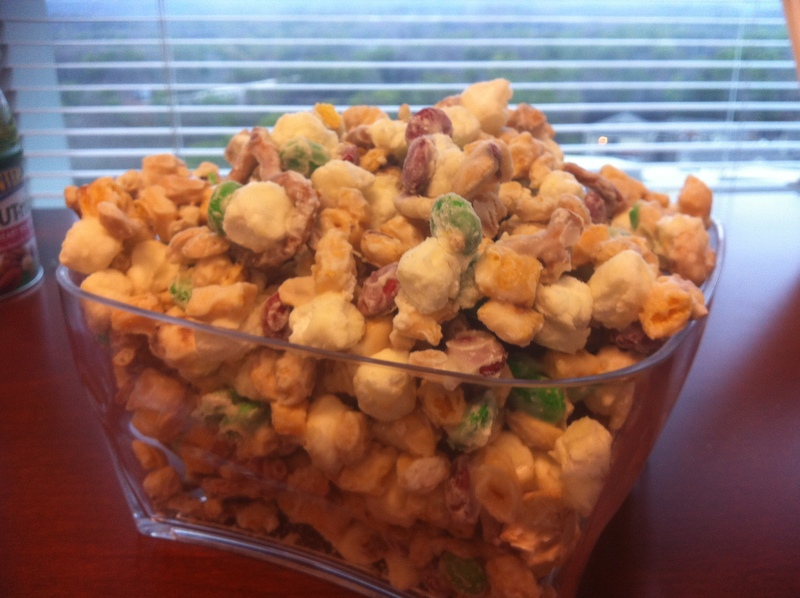 I brought this in to the office to help fuel a brainstorm. Hence, the lovely vertical blinds in the background. If you want actual measurements, check out Alton Brown’s recipe for White Trash. Otherwise, if you’re like me, just dump what you have on hand into a big bowl. 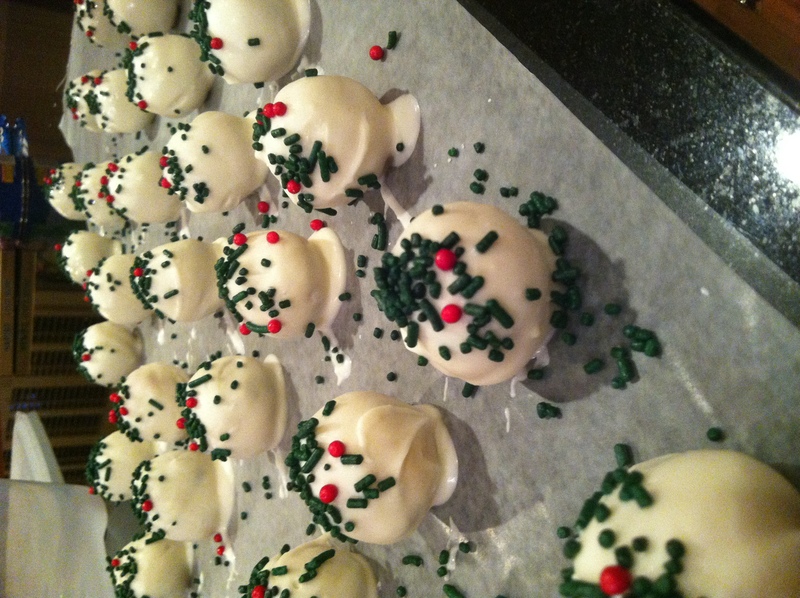 Melt your white chocolate (whether it’s candy coating or chips – I had a mixture of both) and pour over the mix. Stir until coated and spread onto a sheet of wax paper. Once the mixture is cool, break it up into chunks. This is something everyone – even your redneck cousin – will enjoy! 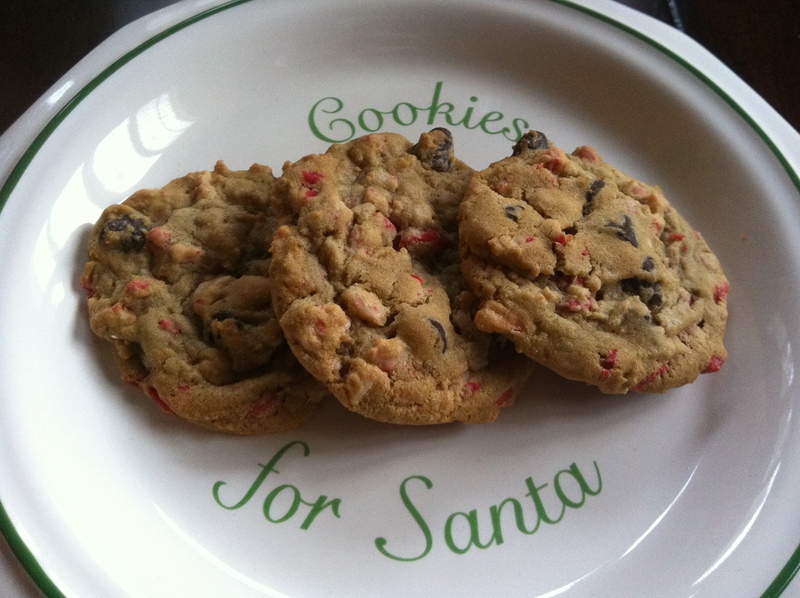 I’m pretty sure these will be the cookies we leave for Santa this year…if they last that long! I love the flavor combination of peppermint and chocolate. Exhibit A: Chick-fil-A’s Peppermint Chocolate Chip milkshake. Exhibit B: Starbuck’s Peppermint Hot Chocolate.